BeautifuLiguria started life as a blog to express a deep passion for Italian Rivera and a desire to tell people about its countless charms. The blog’s success derived from an obvious knowledge of the territory, its dedication to storytelling and by providing consistent and trusted advice and information. From this success, the next natural step for founders Anna Merulla and Emanuela Raggio was to found a specialist tour operator dedicated to the Italian Riviera, though not a conventional one – instead, they created a company able to propose luxury experiential travels with a focus on a personal touch. BeautifuLiguria is the result of the matching of ideas, professional knowledge and the passion of two people with different stories bought together by a love of authentic travel experiences. Anna was born in Italy but raised in the US. She graduated in Tourism Business, gained a masters degree in Management and Tourist Marketing and worked in Italy and abroad before founding the BeautifuLiguria blog with the aim of promoting the Riviera to a wider market. A native of Liguria, Emanuela gained a degree in Foreign Languages (English and Spanish), before working in the marketing and communication sector with a desire to forge a career around her love of travel. After meeting Anna in 2012, Emanuela took the opportunity to make her passion her career and BeautifuLiguria was born.  BeautifuLiguria is the only luxury, experiential travel company focused on the Italian Riviera. Each trip with BeautifuLiguria is characterised by authenticity, uniqueness, passion and sustainability – Anna, Emanuela and their team have created a network of local excellences, from small boutique accommodation to high quality produces, in order to enhance and preserve the quality and traditions of the region. In addition to providing an excellent service, BeautifuLiguria are also dedicated to flexibility and attention to detail, and can tailor each trip to be as individual as the traveller. Liguria, the Italian Riviera, is not an all-inclusive paradise tourist resort – it maintains its authentic life, tastes and traditions. Visitors are encouraged to take their time discovering it, breathing, seeing, tasting, listening and talking with the local people. With BeautifuLiguria, visitors to the region will discover the must see attractions but from a different point of view, resulting in unique and special experiences defined by off the beaten path itineraries and the authentic soul of the territory. Visitors have the possibility to travel the Italian Riviera in an unconventional way – experience the famous Cinque Terre with a gourmet touch or arrive in Portofino by kayak. In Genoa you can discover hundred years old traditional shops or explore the vertical city with its Paradise lift and drink in the amazing views. In the little-known west Riviera you can hop from one medieval village to another, hike among olive trees or learn the secrets of local fishermen. All trips are designed to mix art, culture and nature and BeautifuLiguria will create a bespoke experience that caters exactly for your wishes. Visit the website for inspiration and begin creating your trip fromamazing places to see or authentic experiences. A trip with BeautifuLiguria is to live the life of the local, and the company is dedicated to sharing local travel tips with each visitor. The Luxury Travel Guide spoke with founders Anna Merulla and Emanuela Raggio for inside information on the best way to travel through the Italian Riviera. How do you help your guests enjoy authentic experience? Emanuela: we are a team of travel professionals and we are local! We deeply know and love our region, sowe bring our guests deeper, under the tourist surface, discovering beautiful places to see but also experiencing authentic traditions, culture and tastes, taking time to meet people and to hear their stories. We follow our Italian taste for beauty and style, to let our guests live what we call the luxury of experience. What, to you, is the perfect trip in Liguria? Emanuela: my perfect trip would surely include at least two or three days in Cinque Terre, because you have to take your time to enjoy the poetry of these places. It would continue to Portofino that, in addition to its elite reputation is also a lush natural reserve – simply take a walk and you’ll find gorgeous views of the village and the Mediterranean Sea beyond. Then on to Genoa, the largest medieval centre in Europe. The best way to see this multi-layered city is to wander through its historic streets and hunt out the amazing architectural details of the city. Genoa is also famed for its authentic street food –abundant in focaccerias (bakeries) andfriggitories (fried food shops) it is easy to find a taste of Genoa. I would then continue towards the unspoiled West Riviera that is rich in medieval villages, beaches and authentic traditions. I love the fortified village of Noli, particularly its beautiful beach. Does Liguria attract a specific type of traveller? Anna: Liguria has something different when it comes to attracting travellers. Probably it’s because here mass tourism hasn’t decimated its soul and travellers come to the Italian Riviera because they know that in this still untouched seaside corner of Italy they can still find the real Italian style of living! Many of those who visit for the first time fall in love with this territory and its people and then want to return again. They find that travel experiences here are not stereotyped and enjoying conversations with locals about food, cultural traditions, life and much more is a truly life-enriching experience. They are inspired by all this! Liguria attracts travellers who are searching for the authenticity and for exploring Italy in a slow way with the family or with friends. As a local expert, can you tell us about the most surprising hidden attractions Liguria has to offer? Emanuela: those who are in Portofino should reach San Fruttuoso by boat or by foot. It is a bay with a medieval abbey right on the pebble beach – a truly unique place! In the West Riviera, visit Albenga with its medieval towers, then take a walk among olive trees to an ancient oil mill and taste the precious golden liquid. From tastings, to visiting Slow Food Producers, to hands-on cooking lesson or dining with locals, Liguria is a paradise for food lovers. Do you want to learn how to prepare ancient sauces, especially the famous pesto, with mortar and pestle? With BeautifuLiguria, you can learn under the guidance of pesto experts. Have you ever encountered Chinotto? This bitter orange only grows in an area of the Italian Riviera and was used in past by sailors for its rich vitamin contents; in modern times, specialist producers use these oranges to make the most delicious jam, candied peel and liquors following ancient recipes. The producer Roberto will show you his citrus grove and garden and you’ll hear about his family story and taste its products made in his small laboratory, thanks to the expert hands of his wife and daughter in law. In addition to hands-on experiences, visitors can simply enjoy a dinner with locals in a typical Genoese house – enjoy the stunning views, excellent cuisine and learn the secrets of time old recipes. BeautifuLiguria also offers wine lovers the opportunity to travel along the Liguria wine roads to meet local producers. You will hear about their hard work on the terraced vineyard of this steep land where often everything must be hand-made and taste the precious and amazing result of their labour. Have you ever tried Sciacchetrà wine? Those who have never before sampled this sweet dessert wine are surely in for a treat. BeautifuLiguria propose many outdoor experiences in gorgeous natural surroundings for those who enjoy leading an active life. A team of expert insiders will guide you along beautiful coastal paths in both summer and winter, (thanks to the mild climate) whilst the sea offers incredible options to see the coast from different points of view – arrive in Portofino by kayak or indulge in a sunset aperitivo in the shadow of the lighthouse. Those looking for authentic traditions can discover a 15th Century silk and velvet factory or take a look at the magic process of distilling hand-picked orange flowers to produce the Slow Food Presidia Orange Flowers Water. And what about framing your trip by a special local and authentic event? Those travelling at the beginning of August can participate in the Stella Maris, a religious traditional feast in Camogli where they bless the sea with thousands of floating candles – an experience that is as magical as it is exciting. Each trip is built around your desires but the BeautifuLiguria blog offers inspiration for those who don’t fully appreciate all that Liguria can offer; serving as your local expert, the blog will advise you on everything you’ll need to have the best experience of Liguria as possible. Visitors will also find a selection of Top Ten Trips on the website that are certified by the satisfaction of other travellers – the perfect place for activity inspiration. At BeautifuLiguria, they believe accommodation is a key point to make your holiday perfect, mixing authenticity and comfort. Forget standard hotels – BeautifuLiguria handpick every accommodation for their quality and authenticity in order to create the right experience. In addition to architecture, historical significance and traditional charm, BeautifuLiguria also consider the simpler details – the embroidered linen, the views of the olive groves, and the scent of fresh jasmine – in order to ensure customers are welcomed into an inviting word. Genuine hospitality is just as important to BeautifuLiguria as style; your host will welcome you as a friend and sit down to enjoy coffee and share personal experiences with you. Convention and impersonal service are forgotten – guests can guarantee quality accommodation that promotes relaxation, enabling you to enjoy your holiday in the Italian Riviera as a local. With this in mind, BeautifuLiguria only selects small and intimate accommodation options that are managed by people passionate about their surroundings, as this is the best way to preserve and develop the customs of this beautiful region.